For many people, Saturn is the most feared planet. However, other people value him as one of their greatest friends. He is commonly known to be challenging as he has a job to enforce karmic lessons. He can set in motion things that reduce the ego, and this does not always feel pleasant. However, without humility, all spiritual progress stops, so Saturn is a great teacher of service and compassion.He values discipline, good work ethic and tenacity. When he is pleased, he can mete out tremendous privileges to the deserving ones. Saturn going direct while he is in Scorpio has a unique effect. Scorpio is ruled by Mars, who is assertive, proactive towards achieving goals and considered forceful at times. With Saturn, time is rationed out with minute inspection. Saturn slows down any process and makes you analytical and thoughtful. So, when Saturn goes direct in the terrain belonging to Mars, it is an unsettling situation. Mars is the problem-solving planet while Saturn is the planet who helps us put up with things we can’t change just yet. Mars makes us want to fix things whereas Saturn’s agenda is for us to endure them. The combined impulses can feel unsettling or at cross-purposes. Saturn is ruled by Hanuman, the mighty and selfless archetype of loving service. Hanuman can flood positive energy into your life and flush out negative effects of Saturn. Participating in the Saturn transit rituals will bring positive vibes into your life and enable you to initiate right actions that will fill the sails of your life with winds guiding you in the right direction. Prepare yourself to focus on getting the right vibrations of Saturn through individual rituals.They are indeed powerful and demand your complete awareness and willingness to transform life. 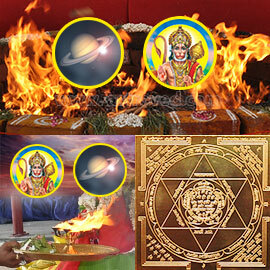 Participating in the power rituals to Saturn and Hanuman will create a great difference in your psyche and subsequently bring positive manifestations in your life.Fire rituals will be performed at the AstroVed Fire Lab and Remedy Center in Chennai and the flower offerings (archanas) will be performed in the Powerspots on August 2nd, IST. You will also receive the Hanuman yantra, which will be energized in the transit rituals.The Hanuman yantra will strengthen your immune system to fight against health disorders and bless you with a long life. Place the Yantra facing the East or the North in a clean and sacred altar and offer prayers. Energies of Hanuman will protect you from the tricky effects of Saturn if he is placed in an unstable location in your natal chart. Being the slowest moving planet, Saturn’s presence in a sign is prolonged and therefore his effects on human life are long lasting. Whether a planet is well or badly placed in our natal chart, none of us should be ignorant about accessing the divine energies of each planet. To access vibrations of a planet, it is important to sync with its energies. Saturn is ruled by Hanuman, the mighty and selfless archetype of loving service.Hanuman can flood positive energy into your life and flush out negative effects of Saturn. Participating in the Saturn transit rituals will bring positive vibes into your life and enable you to initiate right actions that will fill the sails of your life with winds guiding you in the right direction. Becoming conscious of Hanuman and his characteristics can help you deal with difficult times. Since Hanuman is influential over Saturn, he can relieve your troubles and make the impossible happen.Participating in his archana will help improve the conditions of your life. The Hanuman yantra will strengthen your immune system to fight against health disorders and bless you with a long life.Place the Yantra facing the East or the North in a clean and sacred altar and offer prayers.Energies of Hanuman will protect you from the tricky effects of Saturn if he is placed in an unstable location in your natal chart. Hanuman has a huge physique and is extremely strong. Legend has it that he carried an entire mountain range in his hand when he could not find a particular herb he had been looking for to help heal a fallen warrior. This way he could not fail to bring back the correct herb since he was returning with an entire eco-system! No one can match him in his sense of dedication. However, Hanuman is not arrogant. He serves his master with complete humility and devotion.Bring him into your consciousness and understand the essence of having a strong body and mind along with instant obedience to the Light. Hanuman is known as the one ‘who controls Saturn with his tail’ and offering your prayers to Hanuman on August 2nd, IST will knock down frustrations in your life with the flick of Hanuman’s tail. 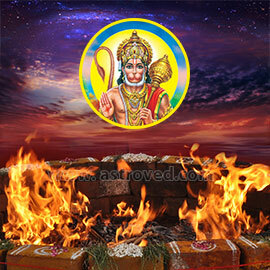 Participate in a group fire ritual to Hanuman at the AstroVed Fire Lab and Remedy Center on this day. 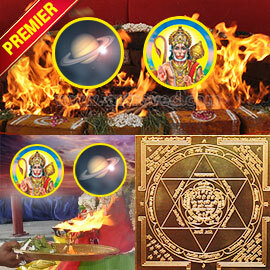 Saturn Pooja Kit is a toolset of all essential ingredients that help to invoke energies of Saturn. The convenience of the Saturn Pooja Kit is that it makes it easy to establish connection with Saturn by doing rituals on a regular basis.Consistent use of the Saturn Pooja Kit makes the process of syncing with Saturn’s vibrations a constructive habit that bears good fruit. 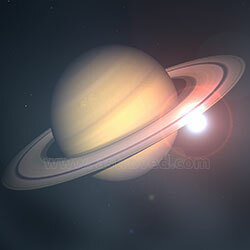 Saturn Planetary Incense:made of an herb sacred to planet Saturn. Offering incense to Saturn helps you harmonize with him. Picture of Saturn Archetype:helps in holding an image of Saturn in mind to offer prayers to him. Saturn Hematite Mala:a set of special beads or rosary used for counting the number of recitations of quantum sounds you offer to Saturn. The hematite beads have a vibration that helps to bring about a positive change in organizing your thoughts and life style in a more productive and disciplined manner. Simple sounds for Saturn are: Om Sanecharaya Namaha. Crystal Shiva Lingam:a formless representation of Shiva, the Supreme Cosmic energy. Meditating on it dissolves your karma and helps you reverse the process of losing mental and physical strength. A brass saucer will be provided in which to place the Crystal Shiva Lingam. 3-in-1 Yantra for Archetypes Bhairava, Saturn and Hanuman:helps you increase your consciousness and strengthen your mind to acquire confidence of facing any obstacles. Brass Lamp:used to burn sesame oil for Saturn. If sesame oil is not available in your area, you can use ghee or 5 oil blend. Offering light to Saturn is a very effective way to create a connection with him. Sacred Ash (also called vibhuti):a white powder made from the ashes of the fire rituals in which various herbs and oils are poured. Applying it on your forehead will help to calm your mind and protect you from negative influences while meditating or doing spiritual practice. Red Powder (or kum-kum):energized powdered turmeric and/or saffron powder. Traditionally it is applied on the 3rd eye, and it symbolizes the divine feminine energy of Creation. Erukku and Cotton Wicks:When these wicks are burned, the smoke can remove negative energies from your body. A box will contain 18 incense cones made of Vanni and a metal plate on which you can light and place the incense cones. Lighting Vanni incense helps you gain positive vibrations in mind and will nullify the ill effects of Saturn in your life. Vanni tree’s bark, fruit, flowers and leaves are used in Ayurvedic medicines. The juice taken from its leaves cures joint and muscle problems and bilious disorders. When one is afflicted with weak Saturn or when Saturn is malefic in the horoscope when in transit or in sadesati (seven years of extreme hard times) using Saturn yantra would give positive results. It enhances the qualities of discipline, independence, striving for self preservation, protection and durability. It helps eliminate problems like depression, accidents, conflicts, poor finances caused due to the adverse energies of Saturn. The Saturn yantra will be energized in the rituals performed and will help to eliminate the negativity in your life. Place the Yantra facing the East or the North in a clean and sacred altar and offer prayers. The energized Horse Shoe is known as an effective remedy if you are experiencing unfavorable influence of Saturn. It can benefit you, especially if you are undergoing Sade Sati, which is the 7 and ½ year period of Saturn, or Ashtama Shani, when Saturn is in the 8th house from your Moon sign, or Shani Dasha, the major period of Saturn, or Shani Bhukti, the minor period of Saturn. This Horse Shoe, when fixed on the main door of the house as an arch, it is said to have the power to absorb negativity and dissolve any bad fortune which a person may be experiencing due to Saturn’s adverse impact. Planet Saturn turns direct on August 2nd, 2015 in the sign Scorpio. It is astrologically considered an inimical sign for Saturn where he becomes very uncomfortable. Scorpio is the 8th house (house that signifies obstacles, loss and longevity) in the natural zodiac. So, Saturn in the 8th house will bring in problems in all spheres. At present, the Moon signs that are affected by Saturn are Aries, Leo, Libra, Scorpio, Sagittarius and Aquarius. Saturn in Scorpio will also be in trine to Ketu in Pisces. This is also a difficult celestial indication. Ketu will obstruct the positive influence of Saturn. Saturn in Scorpio would cause obstacles, failures in career and relationship. But propitiating Saturn and Lord Hanuman and becoming conscious about the objectives of your life will help you cross over Saturn period safely.